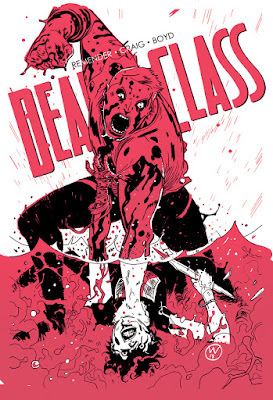 Deadly Class #34 by Rick Remender, Wes Craig and Jordan Boyd, published by Image Comics. I'm not really suggesting that you start this book at issue #34. 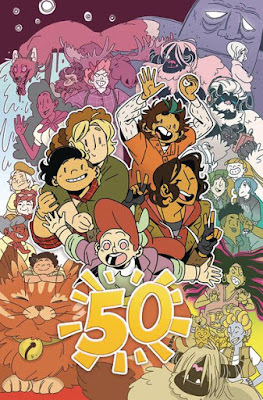 What I'm suggesting is that if you're not reading this book, you're missing out on one of the very best comics of the last 5 years. Rick Remender is telling a gonzo story about teenagers in a high school for future assassins, with some of the most stunning dynamic, intense art you'll ever see, courtesy of Wes Craig. But this story is also a profound meditation on depression and alienation. And, you may have heard, SyFy has picked it up as a pilot! I can't wait to see it on TV, I hope they do the book justice. 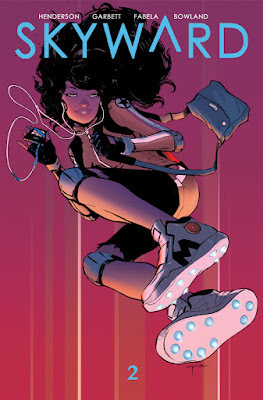 Skyward #2 by Joe Henderson, Lee Garbett and Antonio Fabela, published by Image Comics. This was a fun first issue but it was mostly a setup issue, and I'm excited to really dive in starting with issue 2. The idea of our world suddenly becoming low-gravity is a great one, and the art from Lee Garbett in issue 1 was just gorgeous, so I'm sure issue 2 will look fantastic as well. 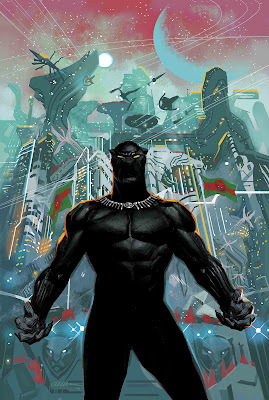 Black Panther #1 by Ta-Nehisi Coates and Daniel Acuña , published by Marvel Comics. 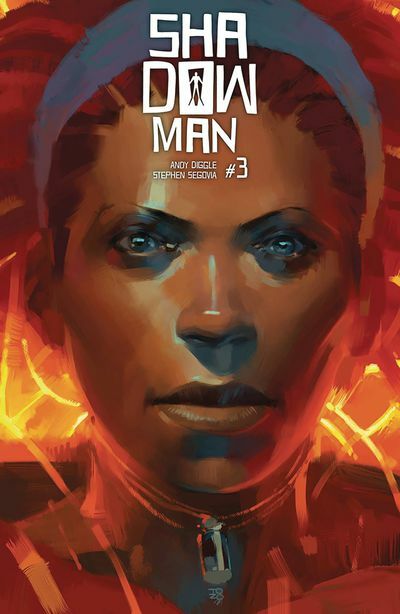 Coates' prior run on Black Panther was an interesting read - he's clearly got a ton of ideas about the character and the world he lives in, and it was sometimes great, but I also sometimes found the book a little dense. 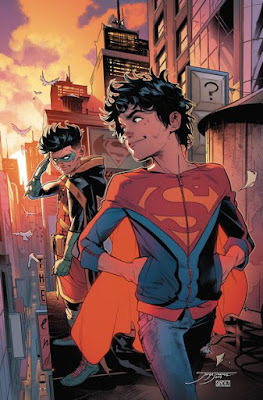 Here they're starting with a new #1 and with art provided by Daniel Acuña, who does spectacular, epic-feeling superhero art. And the story is taking a turn from the politics of Wakanda, to the interstellar empire of Wakanda! Which, apparently is a thing. I'm really curious to learn all about it, and I bet this will be a fun read. S.H.I.E.L.D. 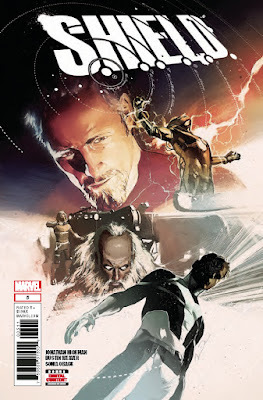 #5 by Jonathan Hickman and Dustin Weaver, published by Marvel Comics. This is a book that is a long, long time coming. Hickman and Weaver last worked on their S.H.I.E.L.D. book almost 8 years ago; a lot has happened since then. I just reread the whole thing and it remains a spectacular book. If you love Hickman's work and in particular if you love secret societies and secret histories of famous people (Leonardo Da Vinci, Nikola Tesla, Isaac Newton, Michelangelo, and more! ), this is a must-read. Weaver's art is gorgeous. I'm excited to see how they wrap this up. 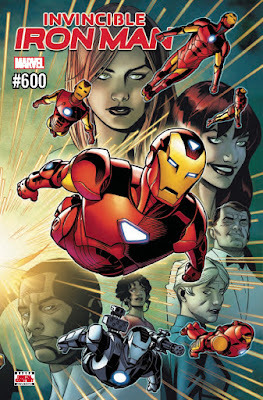 Invincible Iron Man #600 by Brian Michael Bendis, Stefano Caselli, Alex Maleev and more, published by Marvel Comics. So, I haven't been reading Iron Man comics for a few years now (though I did enjoy this book immediately coming out of Secret Wars, when David Marquez was on art), but this is apparently Bendis' very last Marvel comic, along with being a special 600th issue. So, I'm curious to see how Bendis sends off his time at Marvel (a very long tenure) and I'd like to catch up and see what's new with Ton Stark/Iron Man. 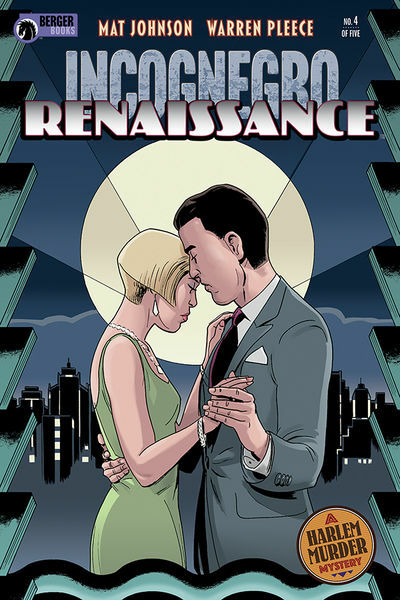 Holy heck, this series is FIFTY ISSUES OLD? It's so hard to believe that these strong-willed kids and their odd adventures have been going strong for over four years now. I admit I don't follow this one as closely as I used to, but it was so groundbreaking, lead to so many young women finding their new role models and even us older folks learning a thing or two. This special issue features two stories with our old friends, who are just as much fun as they used to be. Only Lumberjanes could make playing a board game this exciting on a printed page! (Though I admit that Dozerdraws' linework is a bit off-model and lacking detail to my eyes, especially with Allen returning for a short back-up story.) This is a good time to check back in, or just celebrate the success of a great creation. You know what I love best about Cartoon Network's relationship with Boom!, especially in regards to Adventure Time? Their complete willingness to give Boom! a long leash to do oddball crap like this. Once upon a time, Finn made a promise. And now, breaking that promise, however gently, means he might lose his very existence! Anderson totally gets the oddness of the show's premise in the first place, then takes the stakes and raises them a bit more than usual. 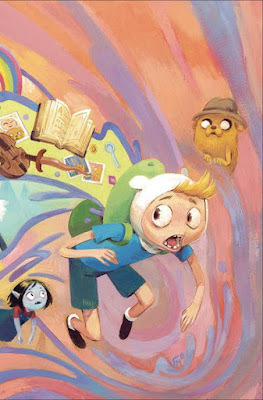 What can Finn do without his adventuring companion? Julia meanwhile mixes her ability to keep the characters extremely familiar with a nice touch of Salvador Dali once Finn approaches the creature out to erase him for all time. These minis are always a blast, and I highly recommend this one! This series is almost over, and it's been a great run. Johnson and Pleece haven't lost a step from their original series, capturing perfectly the tension of being an African American in a racist world that doesn't care about you. I'm not sure what will happen next in this attempt to unravel a murder and stop a literary theft. Pleece's linework on this is really sharp in black and white, too. Make sure you grab all of this one. 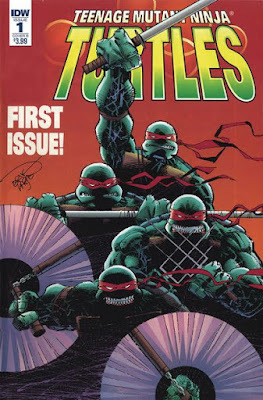 Ever wonder what it would be like if the heroes in a half shell got the Image treatment, right down to having one of the founders on inks? Wonder no more! (Unless you're Aaron Myers, who probably already had the originals.) This one opens with a bang and is pretty pulse-pounding and dense, with Larsen's inks being pretty strong on the figures (not a bad thing). The Turtles are ambushed by a very oddly dressed ninja (which they even comment on) with designs on their DNA. It looks to be a fun romp with lots of action, but probably not for the kids. 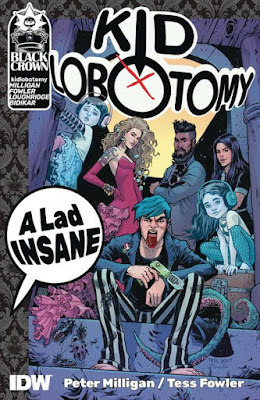 I shouldn't be surprised that Andy Diggle is crafting a great horror story, with a story that is exactly why people like the darker edge of Doctor Strange or the ongoing adventures of John Constantine, but set in the occult world of the Valiant Universe. It's easy to follow along without a lot of knowledge of the characters, as two lovers struggle against demonic forces that keep staying one step ahead of them. The art on this issue (and issue 2) really leveled up from issue one, as the creepiness factor of the creature designs really pops here. This is a hidden gem that more people should be reading. Tomasi has a knack for working with these adolescent characters. In the nearly seven years he worked with Damian Wayne, he smoothed out the character’s roughest edges while still maintaining enough of his grit and eccentricity. Since its debut, this has been my favorite monthly series. I was depressed it was ending, and I was prepared to write a brief elegy of sorts for the series, but good news surfaced today . 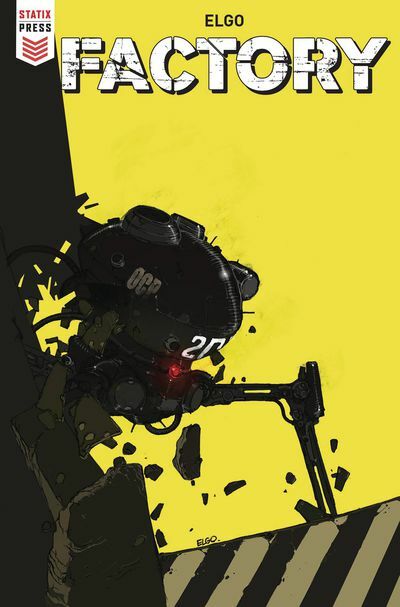 . .
Titan has been publishing some fantastic English and Continental science fiction recently, and the first two issues of Factory have been bonkers in the way that you want dystopian science fiction to be bonkers. 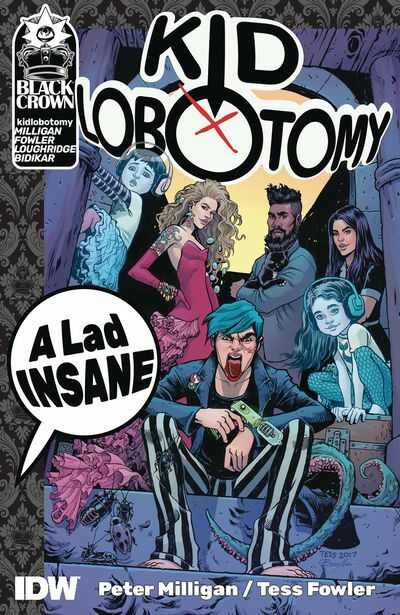 In Kid Lobotomy, Milligan and Fowler channel the essential aesthetic of the early Vertigo, mixing various genres, embedding literary allusions, and building a book that blends high and low concepts. It’s a weird mash-up of sorts, but I’ve been looking forward to the trade to see how the ideas flow in one complete edition.